Crazy, Stupid, Love. is one of the better “dramadies” that I have seen in a while. 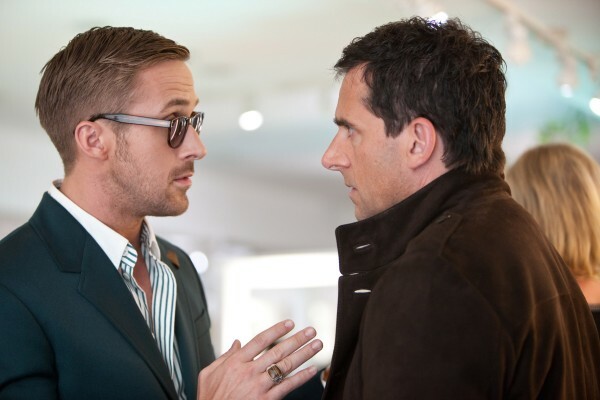 Sweet-talking ladies man Jacob (Ryan Gosling) takes newly, almost single Cal (Steve Carell) under his wing and tries to help him get back out into the dating scene. This sets off a dysfunctional chain reaction in both of their lives and hilarity ensues along with craziness, stupidity, and love. The film has just the right blend of laughs and drama. It may go a little overboard in one direction or the other at times, but that just helps to capitalize on the subject matter and keep the film exciting. Carell does better when more comedy is involved and Gosling is more of a serious actor. Both actors’ styles complemented each other very well and I think that working together enabled them each to go a little bit out of their comfort zones as to what is usually the norm for them. Gosling pulled off being funny and Carell managed to get serious. Carell has proved that serious doesn’t usually work for him (i.e. Seeking a Friend for the End of the World (2012)), but it did in Crazy, Stupid, Love. Gosling didn’t become a comedian by any means. He has always managed to be pretty witty and clever, but he added funny to the mix. The movie also has strong female characters played by Julianne Moore, Emma Stone, and Marisa Tomei. Each woman was able to bring a level of wholesomeness to their roles with a touch of quirkiness. This complemented the film quite well and helped to make it a bit unpredictable. Other supporting cast includes Kevin Bacon, Analeigh Tipton, Jonah Bobo, Joey King, Beth Littleford, John Carroll Lynch, Josh Groban, and Liza Lapira. Josh Groban proved that he should stick to singing and leave the acting to the actors. The film was directed by Glenn Ficarra and John Requa. If you are looking for a good date movie (whether you are married or not), look no further than Crazy, Stupid, Love. It is humorous and touching at the same time. It is not a “chick flick.” It is a film that both men and women will enjoy. 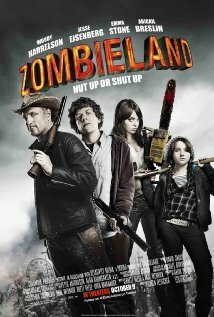 When I saw Zombieland for the first time, I was absolutely shocked at how much I loved it. A friend had recommended it and I watched it shortly after it came out on DVD. I went into it knowing nothing at all about the movie and it caught me completely by surprise. After a zombie apocalypse, there are few human survivors remaining. Zombieland follows Columbus (Jesse Eisenberg) and Tallahassee (Woody Harrelson) as they fight their way through zombie-ridden America in search of safety, solace, and Twinkies. They run into Wichita (Emma Stone) and Little Rock (Abigail Breslin) along the way and their journey gets bumpy. Zombieland put Jesse Eisenberg on the map. The only other movie that I had seen him in before was The Village (2004) and at that time I had no idea who he was. His performance in the film blew me away. He proved that he had the power to carry a movie by himself and when he teamed up with Woody Harrelson, it was priceless. A year after Zombieland, Eisenberg was nominated for an Academy Award for Best Supporting Actor for playing the part of Mark Zuckerberg in the film The Social Network (2010). He has since been popping up all over the place with Now You See Me (2013) (also with Harrelson) coming out later this year. Harrelson was tremendous. He played a great tough-guy and yet he was hysterical. Not many people can pull off that combination. On screen you could really tell that he had a lot of fun with his character. My friend who recommended the movie to me actually dressed up like Tallahassee for Halloween because he loved the character so much. Zombieland also served as a big stepping stone for Emma Stone. She was very likable in the movie. Like Eisenberg, she became super popular after Zombieland came out. The only difference is that she was already a little popular from a few previous roles. Abigail Breslin didn’t need a stepping stone. The youngest of the group, she had already earned an Academy Award nomination for Best Supporting Actress for her role in Little Miss Sunshine (2006). Zombieland served simply as a tool to further her acting career. She was only 13 when she made the movie, but she held her own along with the rest of the cast. Bill Murray has one of the best cameo appearances that I have ever seen in a movie. It was completely random and hilarious. Amber Heard also has a small part in the film. The film was directed by Ruben Fleischer. Fleischer has since directed Eisenberg in 30 Minutes or less (2011) and Stone in Gangster Squad (2013). 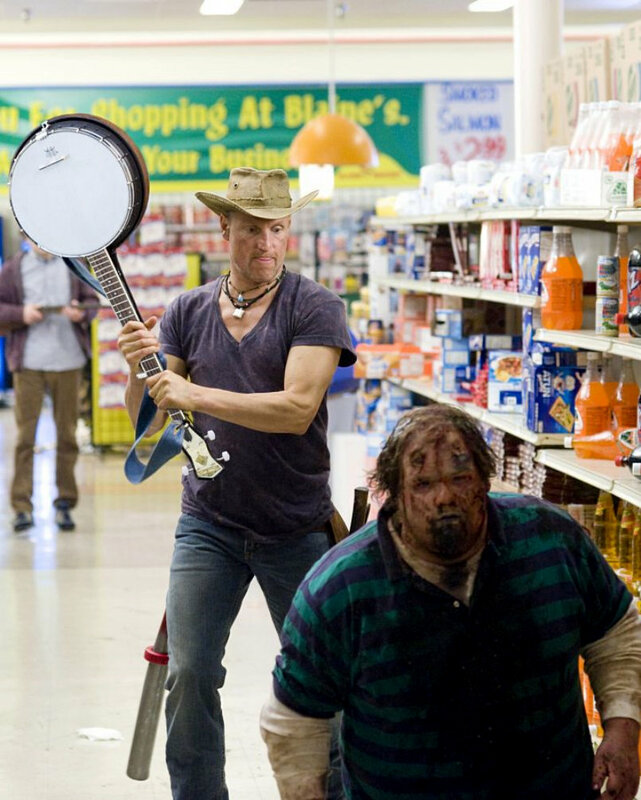 Zombieland is a comical masterpiece. It has already become a cult classic and has recently spawned a TV show. It is a movie that I could watch over and over again. 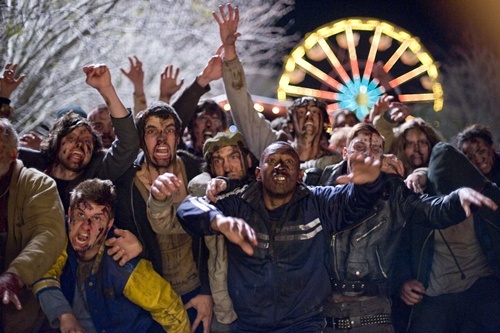 The film is not so much about zombies as it is about the camaraderie between the main characters as they try to survive among the living dead. It is a hilarious thrill ride that will keep you laughing all the way to the end. 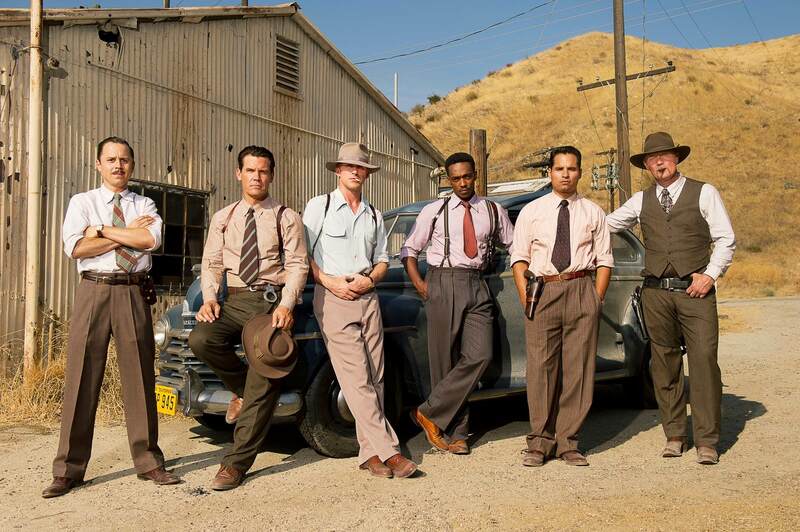 With a huge squad of big name actors, Gangster Squad definitely had enough firepower and got the job done right. Although with such a high caliber cast, one would have to try very hard to not make a good film. With Josh Brolin, Ryan Gosling, Sean Penn, Giovanni Ribisi, Nick Nolte, Emma Stone, Robert Patrick, Michael Pena, Anthony Mackie, who could go wrong? The supporting cast is an endless number of recognizable awesome character actors and I couldn’t name them all if I tried. Every other scene I recognized another face. I kept saying; Wow he’s in this too? Or, I like that guy. What else have I seen him in? This could just be perhaps, Josh Brolin’s best performance. He was excellent! His role fit him like a glove. Ryan Gosling was his usual suave and slick self. Once again he was paired with Emma Stone as they were in Crazy, Stupid, Love. (2011). They were a great couple again, but her character in my opinion, did not get much of a chance to develop. She was the big love interest, but she really was not in much of the movie. Gangster Squad is Sean Penn’s best movie since Mystic River (2003). He has quite honestly been pretty disappointing on and off the screen in the last decade. This is a solid comeback movie for him. His character far exceeded my expectations. Speaking of comeback movies, Nick Nolte surprised us all with a major comeback and Oscar worthy performance in the movie Warrior (2011). Even though his role in Gangster Squad was pretty minor, he reminded us that he can still act. Giovanni Ribisi never ceases to disappoint and he continued that tradition once again. 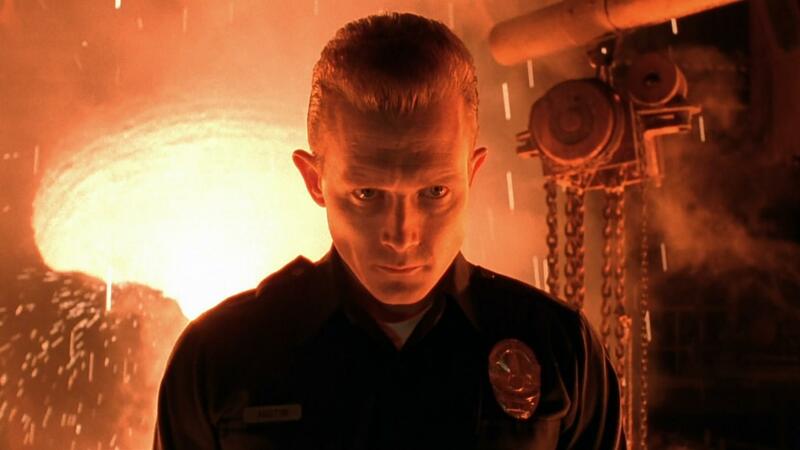 Robert Patrick’s film career peaked when he played the T-1000 robot in the film Terminator 2: Judgment Day (1991). He has been in many movies and TV shows in the last 22 years since then, but none of his roles have ever lived up to T2. He gives a good supporting role in Gangster Squad. Michael Pena and Anthony Mackie have both been up and comers for a while. The two of them were both fun additions to the film. The filmmakers did a remarkable job recreating Hollywood in the 1940s. Everything about the movie seemed real and believable. The clothing, the cars, the buildings and surrounding landscapes, and even the way people talked and acted were all works of art in themselves. 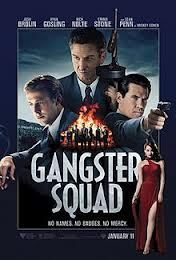 Gangster Squad is one of the best movies that I have seen in the last year. I was only a little disappointed that Emma Stone did not get much of a chance to develop her character. Even the much lesser known Mireille Enos, who was Josh Brolin’s wife in the film, seemed to have a bigger role than Emma Stone. If the film was a little longer and had developed its female characters a little more, I think that it would have been even better. The film was pretty amazing though, and if you have not done so already, you should check it out!